In several places Käsemann explicitly argues that Paul would not support the idea of theosis. Käsemann clearly identifies this ideology as one of enthusiasm. When speaking with regard to the Corinthian situation, he states, “The Corinthians already thought that Jesus bore the cross so that his own might partake of his exaltation. This idea came to be taken so far as to suggest that Christ was made man so that we might become divine. Paul contests this view passionately, in so far as it is supposed to be description of earthly life in the present” (PoP: SSJD, 59). The charge that Käsemann lays against those using the Greek church’s catch-phrase for theosis is that they expect to follow a theologia gloriae instead of Paul’s theologia crucis. As a result, those who follow this theology follow the way of the enthusiasts in Corinth. If the ancient world longed for freedom from destiny, the Christian message not only offered such freedom in Christ, but, uniquely, saw the free person as being put under a new lordship, the Lordship of Christ. Instead of the promise of apotheosis, the gospel offers the possibility of true human existence in which human striving for self-transcendence is under constant criticism (93). Way also notes Käsemann’s focus on this idea in his commentary on Romans 5.1-11. There he discusses the ‘humanization of humanity’ as fulfilling the status of a creature and living out justification (Way, 146). Accordingly, the place of humans is to live within the bounds of God’s grace as one’s who need grace. Becoming gods would mean there is something within oneself that does not need the grace of God. Käsemann clearly associates the concept of theosis with the theology of the enthusiasts of Paul’s day; however, this may just be a straw man argument because those who later used the thought of theosis closely linked it with asceticism. As a result, one cannot simply dismiss it as an attempt for glory. Those who later used the term connected it with a life following the theology of the cross as they understood it. In addition, Käsemann would, no doubt, agree that the gifts of God have been shared with believers. The question with regard to theosis is to what extent and which gifts are shared. It is not becoming God by nature but sharing in the divine attributes (e.g., life, love, etc.). Käsemann’s work is compelling because it attempts to bring several areas of Paul’s thought into a cohesive whole. He combines justification and sanctification, Spirit and Christ, lordship and grace, individual and community. 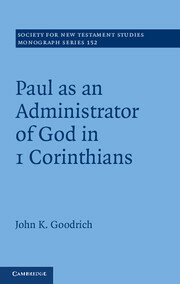 Overall, I think his work provides a good framework for understanding Paul. A critique may be that it tries too hard to find coherence in so many disparate aspects of Paul and to find them in one center. Käsemann’s interpretation of Paul’s background is lacking. I found it interesting that he had Paul inheriting a mystery religion form of the sacraments. This would indicate a very early incorporation of Hellenistic ideals in the church that seems too early. Also, the syncretistic mix of the Stoic organism, Jewish corporate personality, and Hellenistic Anthropos myth, does not seem rigorously explained. Paul, no doubt, was influenced by both Jewish and Hellenistic worldviews, and it is difficult to separate these. However, it seems a little too easy to have these all thrown into one pot and mixed together to form his theology. The strength of his understanding of background issues is revealed when he can change the core insight without it making a large difference on his interpretation. Käsemann tries to balance the individual versus the corporate and apocalyptic, but I was left with the feeling that the individual point of view was lacking. There are two aspects to my conclusion. First, I think Käsemann overstates the case that being in Christ is the same as being a member in his body the church. A strong relationship between these two concepts certainly exists, but to make them virtually synonymous takes the relationship too far. This places too much emphasis on the corporate nature of Paul’s language to the detriment to the individual experience of Christ. Second, I think understanding of the believer under the lordship of Christ is a helpful model for understanding Paul, but as mentioned before it was not clear to me how this ontologically affects the individual. Käsemann has something in mind that attempts to balance between two poles of forensic and ethical/mystical, but it was not clear to me how this specifically works out. The distinction of being incorporated into the exalted Lord but living according to his earthly life seems to be difficult to affirm dogmatically (PoP: MBOX, 111). The question comes down to one’s understanding of the nature of the eschatological state of current events. Käsemann, interpreting this through the enthusiast controversies, argues that one cannot participate in a body that is not exalted and that our bodies have not been exalted so we live an earthly life. But in the experience of the exalted Lord through the sacraments, his grace and Spirit are shared with us. Do these not allow us in some way to share in the exalted Lord? Käsemann clearly lands on the side of the “not yet” with regard to the believer’s current experience. However, this seems to place too much weight on the inaccessibility of the future. Life is clearly marked as a gift given to believers now (Rom. 6.23), but he seems to be more qualified with regard to ethical gifts. I am curious about what basis is there for distinguishing between the moral and non-moral gifts, such as (righteousness versus life). Are different gifts mediated differently? I believe that those who ascribe to theosis see sharing in the divine life as one of the key gifts shared with believers, along with other moral attributes. In other words, I do not think they make a distinction between sharing in moral and non-moral gifts. In many ways his work strikes me as an incarnation of Wrede’s and Schweitzer’s view of Paul, but from an obviously different perspective with regard to the history-of-religions. 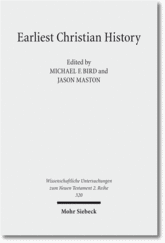 Wrede and Schweitzer emphasized an apocalyptic worldview, the spheres of lordship (Schweitzer: the Kingdom of God), justification beginning as a polemical doctrine, being caught up into the destiny of one’s forebear (or Schweitzer: Messiah), a realistic view of the sacraments, and a disdain for deification in Paul. Käsemann’s emphasis on the primary role of justification sets him apart from Wrede and Schweitzer. However, the key difference, especially from Schweitzer, would be the experience of resurrection life before the parousia. A central part of Schweitzer’s theology hinges on the realistic and physical experience of the resurrection life before the parousia, whereas Käsemann clearly rejects that idea. Schweitzer also has a view of the sacraments that appears to be very close to the ex opere operato concept, which again Käsemann would reject. While holding to a cosmic event, Schweitzer’s view seems to focus more on an ontological change for the individual than Käsemann. With the gift-Giver motif Käsemann holds that out for a possibility but the ontological change in the individual was not as clear or strong as with Schweitzer. Käsemann is an interesting figure for Pauline studies. While he is often noted for his emphasis on justification, his work on participation themes is just as prominent. I definitely like his take on salvation being the experience of the righteousness of God. For a good summary of Käsemann see: David Way, The Lordship of Christ: Ernst Käsemann’s Interpretation of Paul’s Theology, Oxford Theological Monographs (Oxford: Oxford University Press, 1991). Before looking into Käsemann’s theology, one must understand the nature of his work. According to David Way, Käsemann’s work on Paul can be roughly divided into two periods based on his direction of thinking: pre-1950 and post-1960. The common theme to both periods of Käsemann’s work is his basic understanding of Paul’s message, which is centered on the lordship of Christ. Accordingly, he states it succinctly in one of his later essays: “For Paul, faith means faith in one thing and one thing alone: Christ as Lord” (PoP: SSJD, 52-3). This common theme was interpreted in different ways in the two periods. In the early period, Käsemann focused more upon participation themes based on an understanding of Paul related to the gnostic myth; however, in his later period Käsemann focused primarily upon justification based upon an understanding of apocalyptic. ‘The centre of Pauline proclamation is the “in Christ”. It is to be maintained, as in the deutero-Paulines, that this “in Christ” is interpreted as “being in the church” . . . The church is the meaning and telos of both the Pauline Christology and his anthropology’ (Leib 183, Käsemann’s emphasis). Thus ‘in Christ’ is the centre of Paul’s proclamation. Elsewhere in Leib und Leib Christi it is said that the centre of Paul’s doctrine is in the close connection between sacrament and church (161), or the concept of spirit, which in turn is dominated by the idea of the sacrament (127f.) (Way, 107). 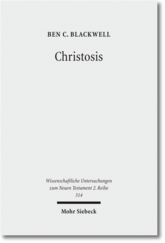 However, Way clarifies that for Käsemann “christology determines ecclesiology (and not vice versa), [and] that the church is always subordinate to Christ” (Way, 108). Although Käsemann gives participation the priority, Way qualifies the place of participation with regard to justification in this early period: “Paul’s participatory language is interpreted in the light of his juridical language: the existential meaning of the spirit draws on the doctrine of justification” (Way, 109). We can see, then, the foundation for the next period in Käsemann’s thought. In fact, Way notes that Käsemann took the first major step towards the second period while still within the first. 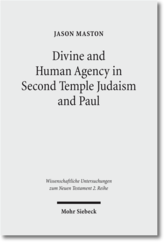 He states: “Within five years Käsemann moved away from the view that the participatory themes are the centre of Paul’s theology, arguing instead that justification is the centre of Pauline and New Testament proclamation (‘Abendmahl’ (1937) 90, 93)” (Way, 109). In this transition, though, Käsemann did not abandon his interest in participation themes such as the body of Christ and the sacraments, but he did realign his understanding of their importance in light of justification. As these participatory themes were not dismissed, they were put in a different perspective in order to maintain coherence of all Paul’s themes (Way, 111). Justification, for Käsemann, is a reception of the righteousness of God, in which the Giver is also a part of the gift (NTQT: RoG, 174). As a result, he sees coherence in Paul’s thought regarding the believer’s justification and sanctification (NTQT: RoG, 174-5). Käsemann’s adoption of the term ‘apocalyptic’ is to be understood as a convenient shorthand for his understanding of primitive Christian eschatology, the main points being its cosmic scope, its expression of a theology based on the hope of God coming into his right on earth (with the consequent defeat of the powers of evil), and the theme of an imminent future expectation. ‘Apocalyptic’ becomes a label for an interpretation of Paul’s theology which is focused, not on anthropology, but on Christ’s lordship and God’s final triumph (129). An important aspect of this apocalyptic worldview is that of ruling powers, which Käsemann notes in Paul’s theology. He writes: “As the world is determined by the conflict of forces, so there is laid on man as a corporeal being the necessity of having a lord, of being incorporated into a dominion, whether it is that of Adam as the representative of the cosmos or that of Christ as the representative of the world of the Resurrection” (ENTT: PDLS, 133). Accordingly, Käsemann understands Christ in Paul as the cosmocrator (Way, 112). 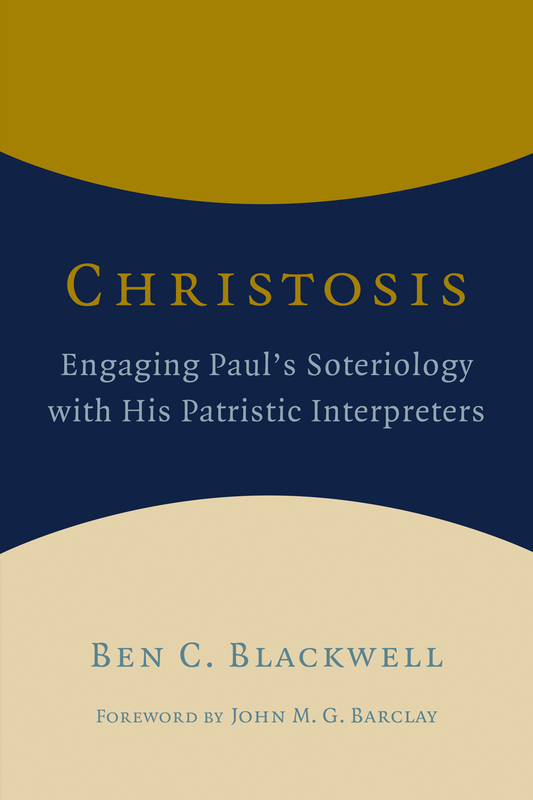 We will see later how the spheres of power come into play with regard to Paul’s soteriology. If Christ’s lordship understood as participation and justification is the content of Paul’s message, the context of is message was opposition from nomists and enthusiasts. With regard to these Käsemann comments, “The Gospel does not appear on the scene without arousing the reaction of both legalism and of enthusiasm” (NTQT: NTQT, 9). While he primarily responds to nomists in Galatians and Romans (cf. NTQT: PI, 186) and the enthusiasts in 1 and 2 Corinthians (cf. JMF, 59-84), he responds to both groups in each of his letters. Käsemann contends that his central theology of justification by faith avoids the two extremes. Against nomists Paul “proclaims the justification of the ungodly” as a gift, not a work (PoP, FAR4, 84). Against enthusiasts justification is for sinners or creatures based on a theology of the cross (PoP: JSH, 73). Justification then effectively responds to both of these problems. Käsemann understands Christ to be the cosmic Lord who incorporates believers into his body, the church. With this apocalyptic worldview, Paul responds to both nomists and enthusiasts using the paradigm of justification and participation. Now that we have looked at the core concepts of Käsemann’s analysis of Paul, we may now turn more to Käsemann’s interpretation of Paul’s theology with respect to Christ and the believer in more detail. Anthropology…The key aspect of Käsemann’s understanding of Paul’s anthropology is the use of the term “body” (or σῶμα). Incorporating Paul’s cosmic worldview, Käsemann sees the body allowing (or even necessitating) communication and relationship to others. He explains: “Corporeality is the nature of man in his need to participate in creatureliness and in his capacity for communication in the widest sense, that is to say, in his relationship to a world with which he is confronted on each several occasion. We are always what we are in the mode of belongingness and participation, …” (PoP: PA, 21). This is in direct distinction to Bultmann who saw the body as the core of one’s relationship with one’s self. Righteousness…“The justification of the ungodly is for Paul the fruit of Jesus’ death, and nothing else. And this means regnum dei on earth” (PoP: SSJD, 46). Righteousness, then, cannot be merely a forensic statement but also an active power initiated by Christ in the believer’s life. That is, righteousness is fundamentally related to the gift-Giver motif as the gift. The Spirit plays an important role in Käsemann’s understanding of Paul. With regard to the gift-Giver motif that drives Käsemann’s theology of righteousness, Käsemann places the Spirit at the core of that relationship as the Giver, and in that same context, identifies the Spirit with Christ (ENTT: PDLS, 113). Resurrection and Theology of the Cross…In “The Saving Significance of the Death of Jesus in Paul” Käsemann highlights the cross over and against the resurrection, so that they are not two equal events (PoP: SSDJ, 32-59). The resurrection just interprets the events of the cross. Accordingly, one should not presume to expect a life of glory but a life of the cross. In response to the realized eschatology of the enthusiasts, Paul proclaims a ‘theology of the cross.’ That is, God’s people, though sharing in the exalted Lord’s body, live according to his earthly life. Käsemann explains: “On earth, at any rate, there is no sharing in the glory of the risen Lord except in the discipleship of the cross” (JMF, 83). Käsemann is helpful in tearing down the divisions between conceptions of righteousness, using a both/and conception of the gift and the Giver. Paul is one who makes antitheses clear. I do not find a clear distinction of justification and sanctification in his letters, so Käsemann is commended for proposing a thesis to bring these together. I find his overall system of spheres of lordship compelling. From my limited perspective this seems to be a more synthetic view of Paul’s theology and not one as strongly based on his antecedents. In Christ…He provides a taxonomy of views at the end of his essay on Romans 4 (PoP: FAR4, 99-101) and also discusses it in relation to Adam and Christ in his commentary on Romans 5 (Way, 164-170). In these two passages Käsemann makes two primary points: being ‘in Christ’ is basically an ecclesiological affirmation related to Christ’s lordship, and being ‘in Christ’ leads one to participate in Christ’s destiny. Passage 1: ‘In Christ’ is not primarily ecclesiological because this might seem that ecclesiology is over Christology. However, Käsemann retains the spatial concept as his core understanding because the phrase ultimately denotes the sphere of lordship in which one resides. In other words, those who are under the sphere of lordship are ‘in Christ’. Passage 2: Regarding Romans 5-6, “σὺν Χριστῷ, along with ἐν Χριστῷ, is used by Paul to give precision to his concept of Christ as a bearer of destiny. Christ is the power which determines the life of the Christian, but, at the same time, Christians have to follow the earthly path of the exalted Lord (Römer, 163). Here the ‘bearer of destiny’ motif functions as an underlying theme of Paul’s theology” (Way, 168). Body of Christ…Käsemann most fully discusses the body of Christ in his essay “The Theological Problem Presented by the Motif of the Body of Christ” (PoP: MBOX, 102-121). The most striking point is that the lordship motif drives Käsemann’s argument. He continues to interpret the nature of being in the body as being in the sphere of Christ’s lordship, and it this affiliation that determines one’s membership in the body of Christ. This membership or solidarity is real, in that Christ shares himself through the sacraments and the Spirit. Sacraments…Käsemann makes a direct correlation between the body of the Lord in the Eucharist and the body of Christ, the church. Accordingly, he writes: “Through the element called the σῶμα Χριστοῦ we are incorporated into the σῶμα Χριστοῦ as church, so that according to I Cor. 12:12f., we are members of the body, whose head is Christ” (‘Abendmahl’, 80; translated by Way, 73). In light of his discussion in PoP: SSJD, 57-58 — Paul inherits a view of the sacraments influenced by the mystery religions, which emphasize glory. Paul then modifies this tradition to focus primarily on remembering and sharing in the death of Jesus with only a future expectation of sharing in the resurrection of Jesus. Accordingly, Paul exhorts believers to follow the way of the cross in this life. In light of his discussion in NTQT: RoG, 174-5 — Käsemann draws the sacramental-ecclesial theme back under the lordship of Christ and gift-Giver motifs. He expressly guards against a view of the sacraments working ex opere operato. In his discussions of the church it is clear that Käsemann wants to distance himself from a salvation-historical point of view that one might find in Roman Catholic theology or in some Protestant discussions of his day. He maintains that the church always remains under the lordship of Christ and in no way replaces or acts as a substitute for him. 1) For my thesis I’m looking for resources related to “glory” in Paul. I’ve found a few resources, but they all date to the early 1990’s and seem to focus upon 1 passage. If you have come across anything, could you pass it along to me? I’m looking particularly into Romans and 2 Corinthians, and would prefer something that treats the topic thematically. I’m sure it’s out there but I don’t want to waste anymore time searching. 2) This is more of long shot, but does anyone have a Word template based on the SBL/JBL style book? I was considering pulling one together since I couldn’t find one through Google, Endnote, or SBL’s site. But I assumed like above one’s got to be out there somewhere. I’ve been thinking about pacificism and wars lately. I’m in general skeptical of governments making the most moral decisions with regard to acquiring and displaying power. So, I’m beginning to think that we should be much more hesitant to support the government engaging in new conflicts. Also, since I’ve got a numbers background, I just can’t get over the huge portion of money spent on Department of Defense. What if more of that money was spent on economic develop aid or micro loans, or something that would encourage peace rather than conflict. But the true point of this post was that I randomly came across this video of John Lennon promoting peace, and it struck me that Evangelicals seem to be some of the most behind the escalation of the military budgets and military use. I know that is a broad stroke stereotype, but I think it has some foundation. Lennon’s mention of Hari Krishna in the video got me thinking that it’s a shame that Evangelicals seem to be on the wrong side while unbelievers are not. Thoughts? Grace and PEACE from God the Father and our Lord Jesus Christ. See the previous post, Interesting PhD Program, for more details about the one at Bethel. I was recently asked about places to live in the city. I remembered this morning that we were given a helpful summary of some of the housing areas and options: Housing Information. It’s focused on single students living with friends, but still helpful for couples and families as well. While not exhaustive, it does provide the major areas. For those wanting to walk to school, a 30 minute or less commute is ideal. The three main areas covered in the document that fit that description are: The City Center, Neville’s Cross and Merryoaks, and Gilesgate. If you live outside this area, you should plan on getting a car (but parking will be a real issue) or taking the bus. Of those Americans without kids and that don’t live in-college, most live in Gilesgate. Those with kids seem to be more spread out due to needing larger houses, although there are a couple of families (including us) that live in Gilesgate also. For more details on how our housing search proceeded (and tips for the process), see here.